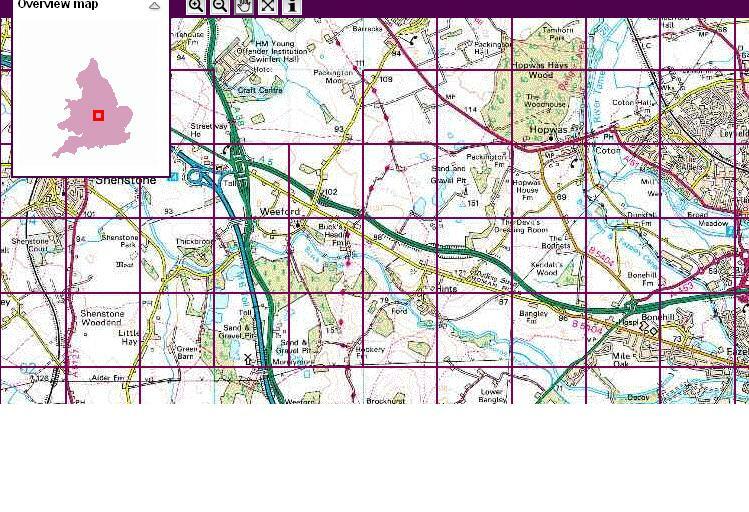 taken from OS OpenData showing windmill farm and windmill Close, located on outer limit of Coton Green, Tamworth, click on for larger view. This is the best candidates for Tamworth´s very own windmill. 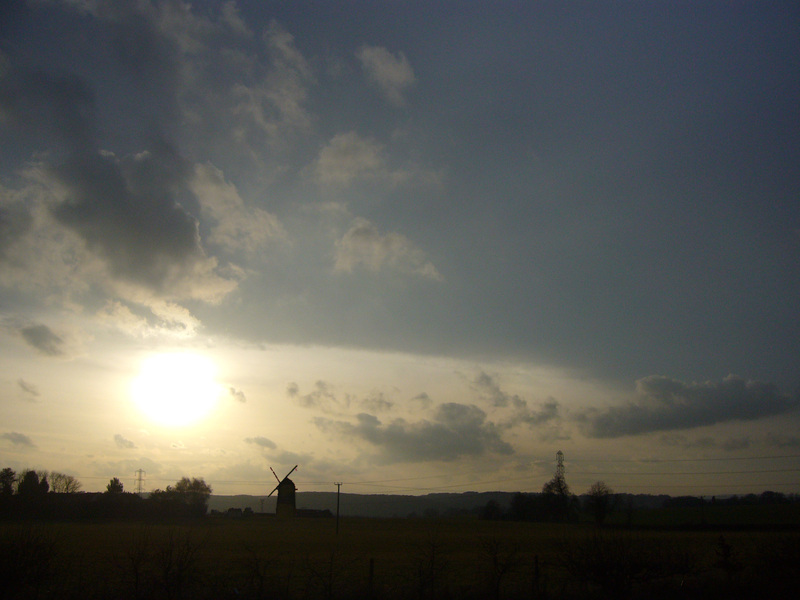 Moneymore mill is on the outer limits of this blogs area and windmill hill, Whittington is a big maybe. Windmill´s being the major landmarks they are, leave echoes in the landscape in the form of names. They seem to smother the immediate surrounding area with the words windmill, for example the names Windmill lane, windmill hill, windmill pub. In this case we´ve got the name of the farm itself and the nearby windmill close as reminders of the presence of the windmill. The word windmill has even totally smothered the previous paragraph and the last few posts. 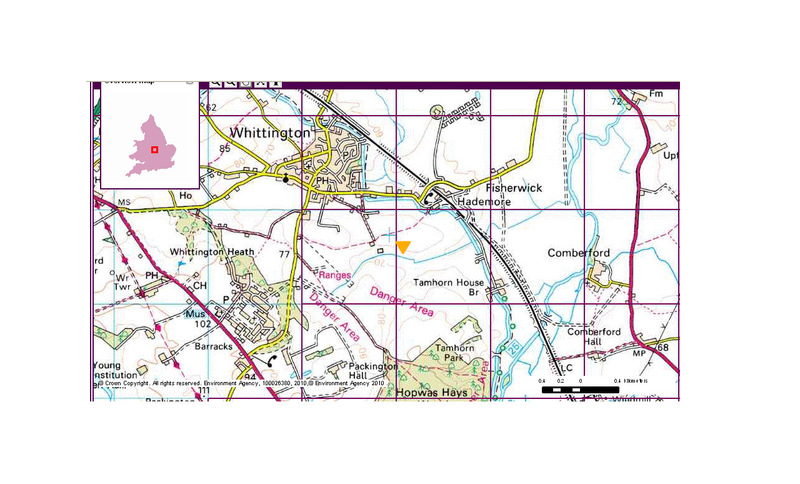 Below is the 1815 ordnance map(taken from British library) with the windmill symbol. In the symbol it appears to have 4 sails, was this a standard windmill symbol or did the cartographer depict the real windmill(probably the former case)? Can´t find no written information on the windmill. The only mention is an entry in English Heritage´s pastscape site mentioned as a windmill mound with the tag post-medieval, although there´s no sign of that either. The guess is that it was a brick tower windmill like most in the West Midlands. Below is the 1837 ordnance map (from vision of Britain) with the windmill again featured with four sails. 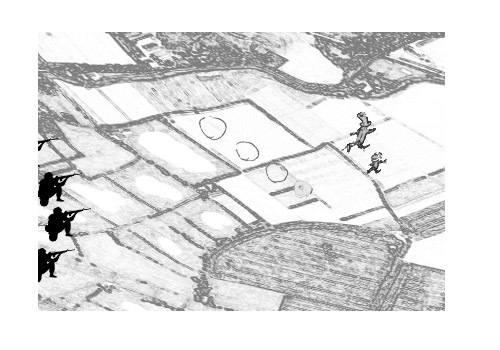 The next maps I´ve seen in the area are 1888 ordnance maps and there’s no sign of the windmill. 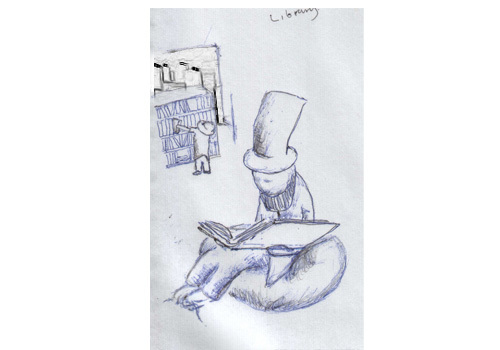 So can surmise that it disappeared at some point between 1837-1888. 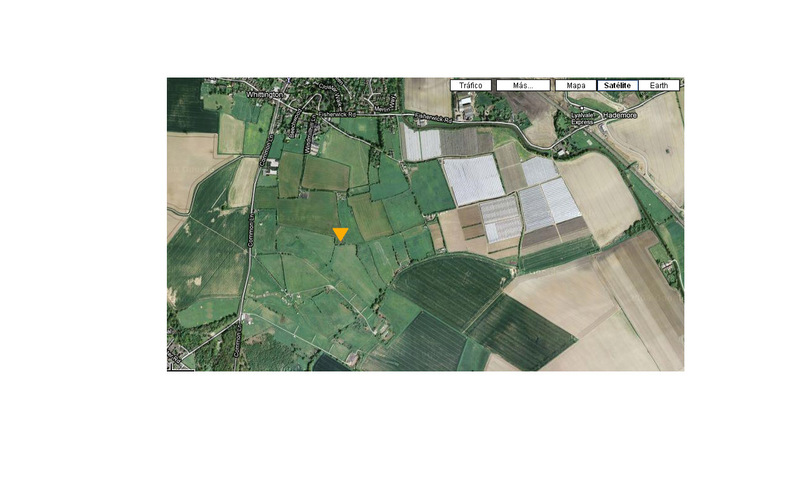 In the map below you can make out its location next to the present day Lichfield road, as mentioned before there´s no sign of a mound in this exact location( even on Lidar images) so its been ploughed under or I´m looking in the wrong location. Abe and Ernst wanted to have a look around to get a feel for the place and see if their were any reminders of the windmill. 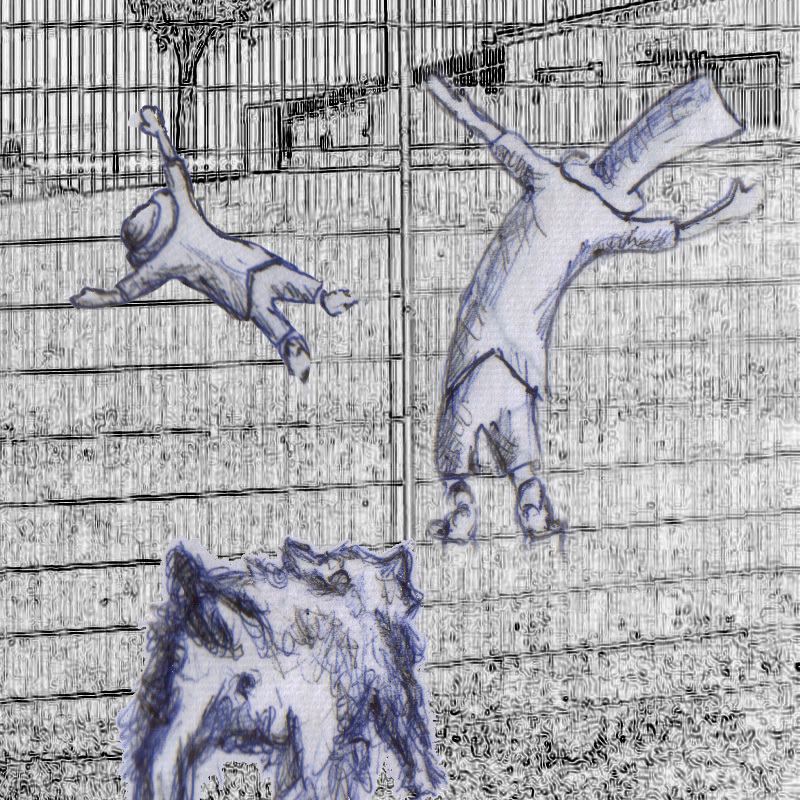 The problem prone pair had a run in with the farm guard dog and just managed to get on the fence. With the whole Don Quijote theme running through the last posts it seems appropriate to put this link to a great new idea in theory from Spain to participate in reading out loud the Cervantes classic Don Quijote on youtube(I think in Spanish). It’s a hefty book and anything that makes Cervante´s all time classic more accessible is welcome. This has got to be one of the top 10 strange locations for a windmill, smack bang in the middle of a working quarry. Don´t know how they did it, but somehow someone managed that the tower survived in the midst of quarry HQ. With the dilemma of how could they get the pictures of the place ( they couldn´t ask for obvious reasons ) Ernst and Abe paraglided over the quarry and managed to take this picture below. To get in closer Abe and Ernst decided on using one of the bulldozers as cover, in all the excitement they didn´t take any pictures, a poor excuse. According to Windmill World , it was first mentioned in 1818 and consists of surviving windmill tower. 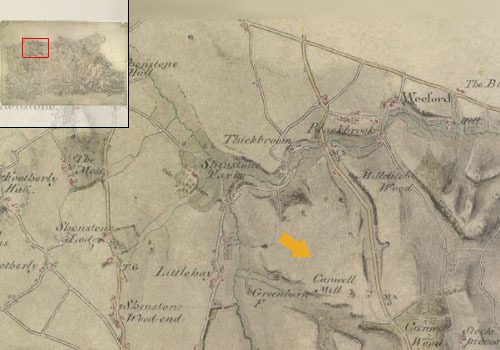 Taking a look at the first ordnance survey map below of the area, dated to 1817, it´s clearly marked out as Canwell Mill(map taken from british library website). Did it have any relation to nearby Canwell hall, which was previously the site of the medieval Canwell priory? Priories were working institutes and would often have a ‘mill’ in their property. The mill itself was from the late 18th/early 19th century, connection to an earlier mill is pure conjecture and can´t find anything out there. Apart from that according to English Heritage it was used as a flour mill. Below is an image of Reads Flour Mill in nearby Burton, demolished in 2000, to give an idea of a functioning mill in the area. 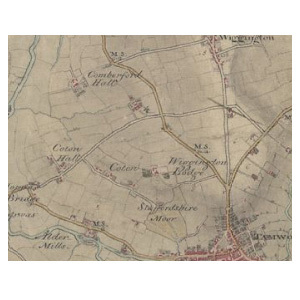 The image is taken from Staffordshire past track. 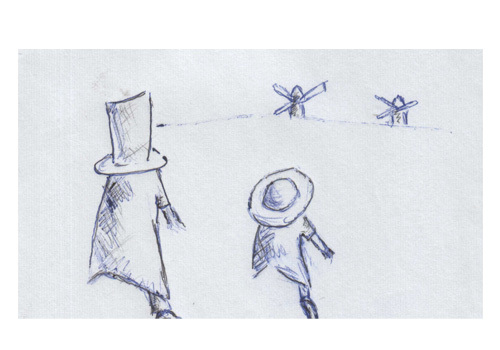 The first adventure for Abe and Ernst is aptly going to be to do with windmills, Don Quijote´s giants in the landscape. Ernst and Abe are not going to have much luck in finding windmills around Tamworth, as there isn´t any. Tamworth being crisscrossed by rivers was ideally suited for watermills. There were though at least a couple of windmills nearby in the not too distant past, with one more ‘maybe’ windmill. Abe and Ernst doing the research in the reference part of Tamworth library, there´s wasn´t much out there, basically there´s just the 1899-1903 ordnance map below with windmill hill marked. Thats about it that´s all there they have to go on. It´s a great location for a windmill but its not recorded in any map dating it as far back as 1815, so either there was a windmill here before that or it was wishful thinking when it came to naming the hill. I wonder if Whittington History Society know more about it? Windmill hill is at one of the highest points in the area, and would have been seen for miles around like a smaller version of the present day Lichfield transmitter mast, if it did indeed exist. 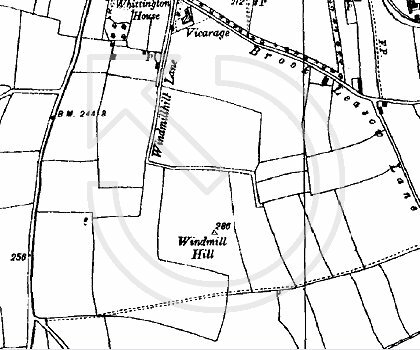 The 1899-1903 ordnance map with Windmill Hill clearly marked, is the associated windmill lane some sort of remnant path? did it once lead to the windmill? Abe and Ernst tried to check these questions and more out on the ground. The bad news is that there´s a firing range nearby used by the military and they were caught in the cross-fire. Will they survive? 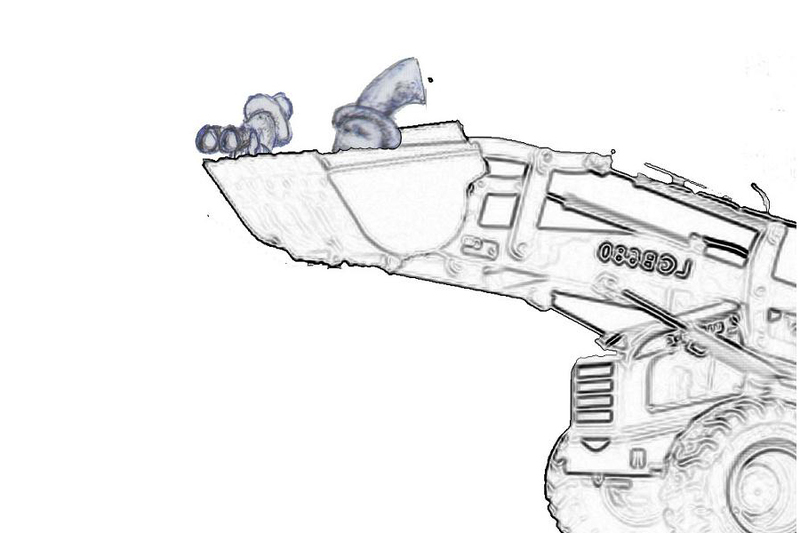 you´ll have to wait…………………….